Banking and financial services attorney David Stein is a featured speaker at this year’s Mortgage Bankers Association (MBA) Regulatory Compliance Conference, which takes place September 17-19 in Washington, D.C. Addressing one of the most significant issues facing banks and lenders, he will participate in a panel discussion on loan originator compensation, Truth in Lending Act (TILA) rules and the Fair Labor Standards Act (FLSA). 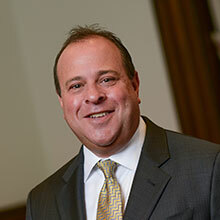 Stein is a member of the MBA Legal Committee and a thought leader in this area. He regularly works with banks and lenders to proactively plan compensation strategies that comply with TILA and FLSA. At the conference, he will share his knowledge and experience with industry leaders, attorneys and compliance personnel. To learn more about the MBA Regulatory Compliance Conference, visit the MBA website.